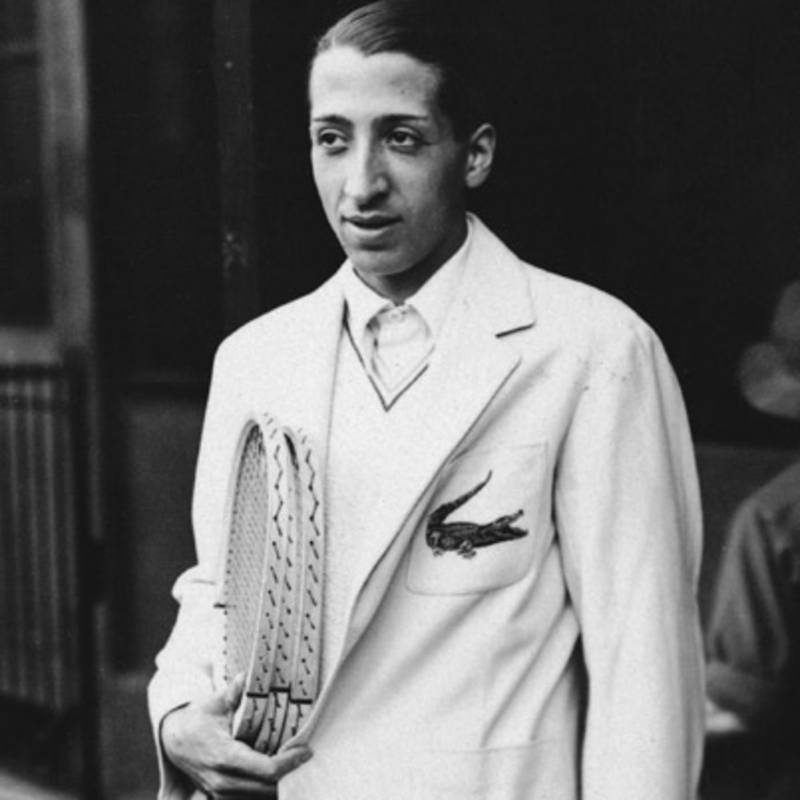 Jean René Lacoste is one of the famous Four Musketeers of French Tennis that reigned the sport in the 1920’s and the 1930’s. He also is the founder of the famous brand Lacoste. His first winning tournament was in 1924 but he started playing as young as fifteen years old. He earned the nickname “The Crocodile” after he won the French Davis Cup. It was called “Alligator” but then, later on, was changed to “Crocodile” when he went back to France. 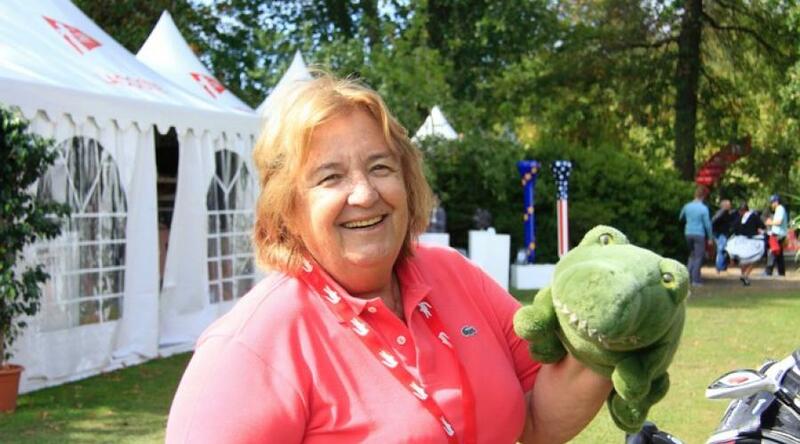 Apparently, he was promised by the French Davis Cup captain a crocodile handbag if he won the tournament. 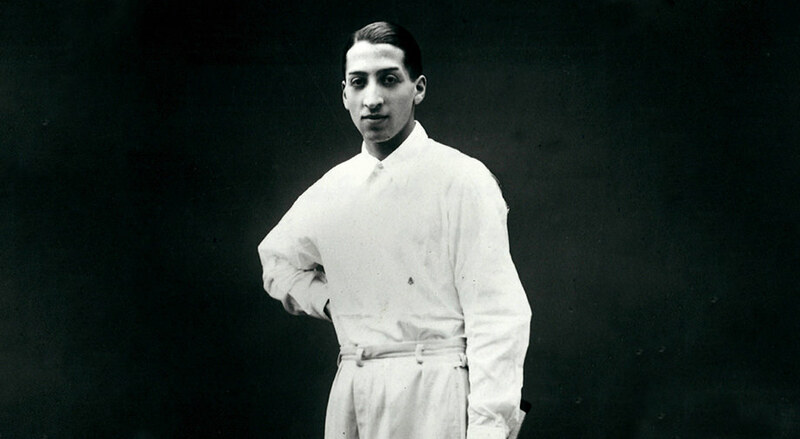 René was the world’s number one tennis player from 1926-1927. He also earned seven grand slam titles for British, French, and American championships on top of winning the David’s Cup. 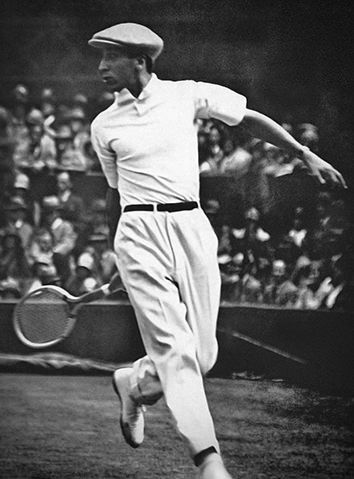 In 1929, he introduced his own tennis shirt that was branded with his own family name. His inspiration for his creation sparked from him seeing Marquis of Cholmondeley wearing a polo on the court. He was born on July 02, 1904, in Paris, France. 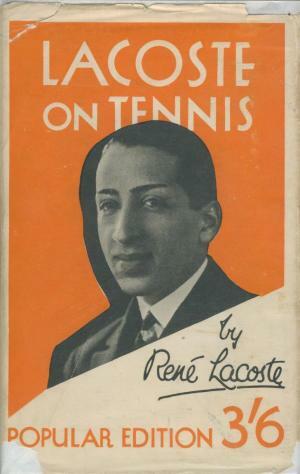 During a trip to England with his father, René began playing tennis and eventually participated in the 1922 Wimbledon Championship but was defeated. The following year, he competed again, making it to the fourth round before getting eliminated. On the same year, he played for the U.S. Championships. The rise of his career in tennis started in 1925 when he successively won the titles for French Championship and Wimbledon. Despite his loss in the French Championship the year after, he has still redeemed himself by winning the single title in U.S. National Championships. Due to his success in 1926, he was ranked number one. The following year, René was nonstop when he joined the French team in defeating the U.S. Team for the Davis Cup that ended their 6-year streak. His professional tennis player career ended in 1929 when he had to retire due to respiratory reasons and overall health problems. His last match was a win against Jean Borotra for the Roland Garros title. He made a brief come back 3 years later, defeating the then Wimbledon title holder Sidney Wood but still lost in the fourth round. He didn’t play competitively after that. However, he continued his influence in tennis by becoming the captain of the French Davis Cup team. In 1976, he along with the other Four Musketeers were inducted into the International Tennis Hall of Fame in Rhode Island. After his involvement in tennis, René partnered with André Gillier. They produced polo shirts that were the same as the kind of shirts that René wore on the court. It was a lightweight fabric that is also flexible so it can adjust to the player’s movements. The tennis shirts had the famous crocodile embroidery. The only color it had at first was just white before they started introducing colored shirts in 1951. In 1952, René and his business partner decided to expand their business in the United States. This caused conflict with the clothing line IZOD. During that time, IZOD released polo shirts with the same crocodile logo. However, unknown to many, IZOD was licensed by the Lacoste Clothing line to officially use. Both parties made amends and had a partnership until they parted ways in 1993. By then, Lacoste continued to rise while IZOD started marking down their prices. The creations of René did not stop in just shirts alone. His company introduced their footwear in 1958 and patented the tubular steel tennis rockets which were a first for the sport in 1961. 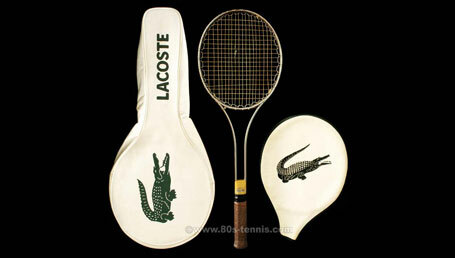 It was launched in Europe under the Lacoste brand but was marketed in America by Wilson Sporting Goods. Two years later, the management was passed on to his son Bernard in 1963 and to his other son Michel in early 2005 due to the declining health of Bernard. The Swiss family-held group Maus Frères has bought Lacoste in November of 2012. As of 2017, Lacoste already has leather goods, perfumes, watches, and more products under its brand. René met and fell for champion golfer Simone Thion de la Chaume. She was born on November 24, 1908. 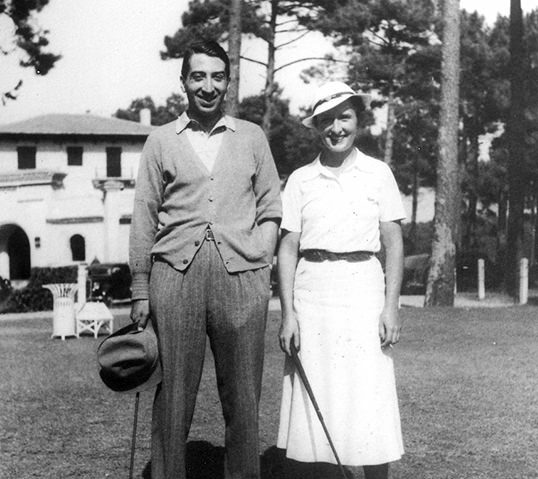 They met each other at the Davis Cup and married each other on June 30, 1930. She was the first foreign champion of the British Girl Amateur and the British Ladies Amateur in 1927. She died on September 04, 2001, almost five years after the death of René. Throughout their union, René and Simone had three sons and one daughter. Both their sons Bernard and Michel have seated as president of their clothing company while their other children have seats on the board. Aside from their work in the family business, the Lacoste children have also ventured out on their own interests. Catherine Lacoste, for one, has followed her mother’s footsteps in playing golf. When she was 22, she won the U.S. Women’s Open in 1967. She continued to win in different categories in 1968 and 1969 and was a part of the French team for multiple years. Before he succumbed to death, he had multiple health problems. He had prostate cancer and a broken leg. He was operated for his leg on October 10, 1996, but suffered heart failure that ended his life on October 14, 1996. He was in St. Jean-de-Luz, France during that time.